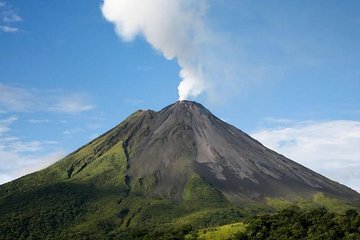 Enjoy two can't-miss Costa Rican experiences with a trip to Arenal Volcano (Volcan Arenal) and Baldi Hot Springs Resort. This overnight tour from San Jose gives you the chance to watch for lava flowing down an active volcano and then enjoy a relaxing soak in thermal waters. One night of accommodation is included.